Ava Web is currently in beta, and free. Ava does not guarantee that you will not experience issues, disconnections, instability, or even being able to use Ava Web at all times. If this happens, please let us know by opening the chat here. Out of beta, Ava Web will be a paying option to use Ava in the Ava Accessibility plans. (Professional, Campus, Welcome, Event). When to use Ava Web (beta)? 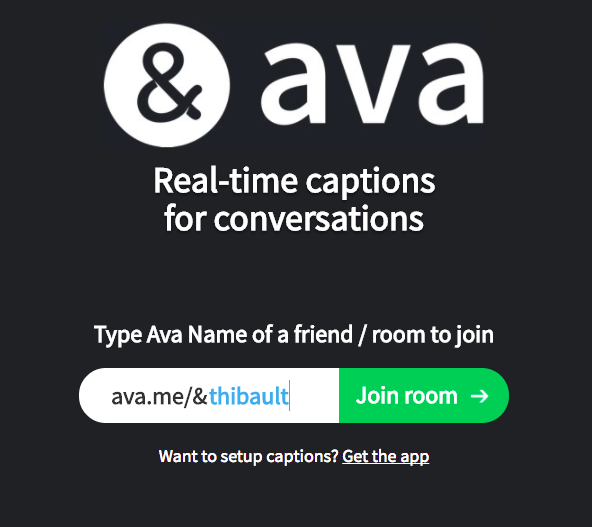 Ava Web lets you access any Ava conversation started on the app by a signed-in Ava user. In a presentation/classroom situation, to let you follow what is said on your computer or Windows tablet (otherwise you can use the Ava app), while your smartphone can be used to caption what the main speaker says. Wit this setup, no-one else has to download Ava but you. If you don't use your voice. 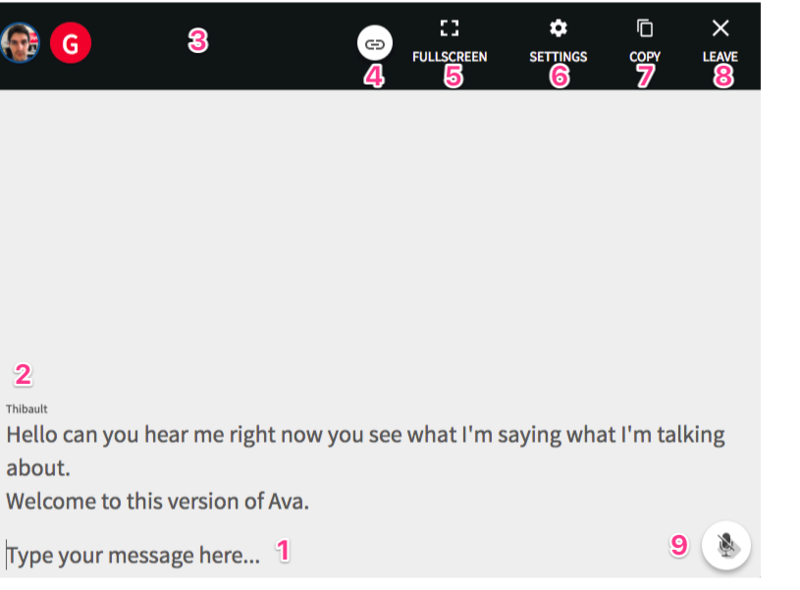 You'll find Ava Web helpful to interact in group work/school meetings where multiple participants are connected on Ava (and being captioned). With Ava Web, you can type faster your answers on the keyboard. 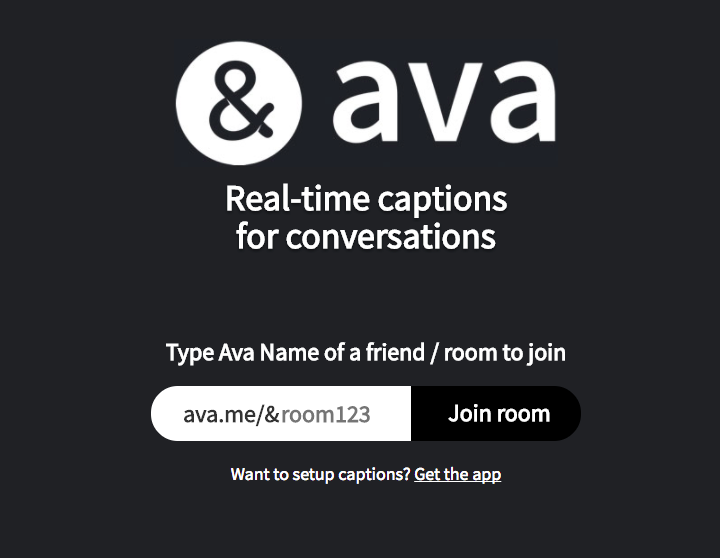 (Mobile / laptop) As a way to join an existing conversation at a conference without requiring your attendees to download Ava. 3. The smartphone logged in at the Ava Name you entered will receive a request to join. If this organizer is Public, the request will be auto-accepted. Otherwise make sure your request is accepted to enter the conversation. This is to protect privacy. 4. If the request is accepted, you'll join the Ava conversation screen. Answer No to stay on the Web version (who doesn't support voice transcription). (1) Use your keyboard to answer here. Type your message then press enter to send it to the conversation organizer. (2) Follow what is said in this conversation. (3) The other guests are displayed in the top bar, the organizer being at the left. (4) Share the link to this conversations to others. (5) Switch to fullscreen mode so only the captions can appear. Ideal for displayed presentations. (6) Visual settings to change color and text/font size. Change in Settings the visual layout and the size until it fits your attendees needs. Enable the Full Screen mode. Connect your laptop to your screen to display the captions. When you're done, press on Full Screen again on top-right side to disable Full Screen mode.